Do Dorm Rooms Really Smell? As a senior in high school I'm sure your last thought was: will my dorm room smell? Think about it though...take how old your dorm building is and multiply it by 2. For example, if your dorm is 50 years old and is a standard 2-student room, that means 100 different people have lived in what will be YOUR room. That's a lot of different body odors! For the skeptic out there who says, "Yeah, but hotels don't usually smell, and they have had thousands of guests," my answer to that is: TRUE. However hotel stays are usually so short no one has the chance to funktify it yet. Seriously, that musty smell of dirty laundry and your roommate not showering never really hits a hotel room. It does however hit DORM rooms! The good news is that before your move-in day in August, your university will do a heck of a job trying to make your room feel new. How well they clean it depends on how nice your school is. If your school has cutbacks due to the economy, you should enter move-in day with a rag and Lysol...or bleach if you can handle it. Every now and then Dorm Co has a good idea (this is one of those times). Besides going the flare-up, bleach nostril route and freaking your entire dorm floor out, we suggest a more subtle option. It's entirely possible that your room only needs a hint of something good-smelling to mask the musk of the previous dorm dweller. Make your semester smell better by adding Dorm Scents. You can go the liquid route by spraying our wonderful scents. Depending on your room you can keep a Dorm Scent out on your desk or on your closet shelf. The nice thing about these scents is that they aren't the type that will overpower and give you a headache. Instead, they provide a realistic cover-up to any odors that might be offensive. 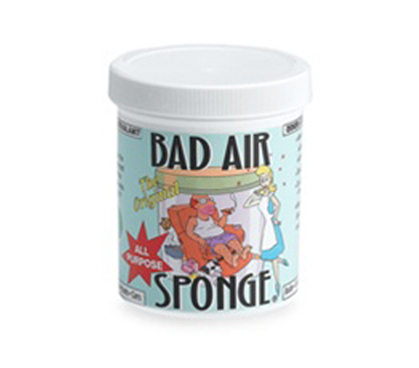 Another avenue you can go with is the Bad Air Sponge, which is a set-and-forget item, or a Cedar Roll, which is designed to eliminate musty odors from old furniture. The roll is over 6 feet long and will fill up many drawers. A bonus of Cedar is that it also repels moths, ants, mold, and mildew. IMPORTANT NOTE: You'll notice Dorm Co does not sell candles nor did we discuss candles. The reason is that university campus rules prohibit the use of candles. If you bring a candle it will be thrown out by residence life anyway. Some schools may even fine you after your first warning.